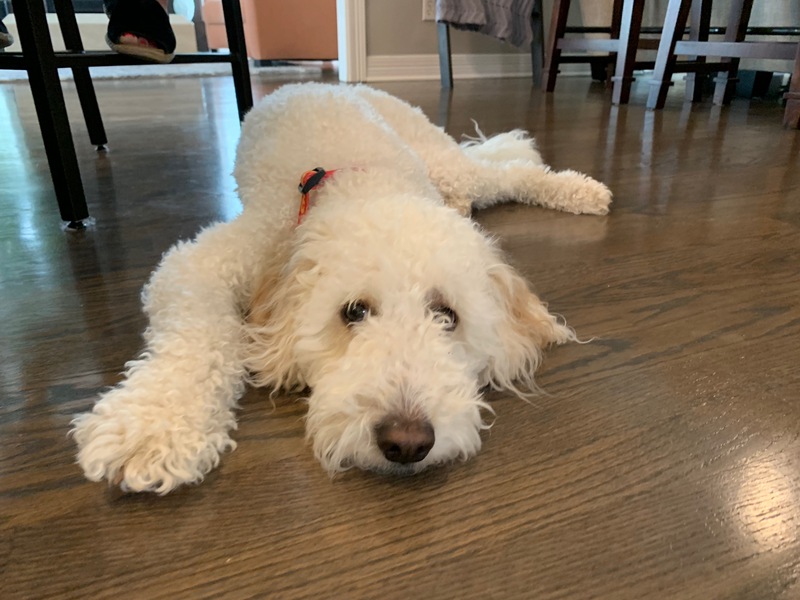 For this Omaha dog training session we shared tips to stop resource guarding in dogs to help 2 year-old Goldendoodle Cedrick stop nipping when people approach his dog bed. Cedrick had spent a week with our lead puppy instructor Taylor while his guardians were out of town so I knew about his dog behavior problems. One of his issues involved pulling out his dog bed and having inappropriate doggy relations with it. I suggested the guardians use the same solution I shared with Taylor; adding a work out weight on top of the bed to prevent his pulling it out and mounting. This is even more of a dog behavior problem when you have a dog who also resource guards. This makes it even more important to put a stop to resource guarding as a dog in that state will easily lash out and bite. Good news is, you dont have to be a professional Goldendoodle dog trainer to do it. I cover my preferred way to help a dog stop resource guarding in the free dog training video below. Dogs with resource guarding problems can be dangerous so repeating this all positive dog training approach each time Cedrick displays that behavior will be extremely important. You can only really use this rehabilitation method when the dog is in resource guarding mode, so I told the guardians to see the resource guarding outbursts as opportunities to stop the problem for good. We also went over a number of other things that will help redefine the leader follower dynamic in the home. This transition (via passive training, petting with a purpose and enforcement of rules) will help Cedrick relax and feel more confident that his humans have things under control. To help the guardians remember all the tips I shared with them in this in home dog training session, we recorded a roadmap to success video that you can watch below.